"The Cotic Rocket is the best trail bike I’ve ever ridden. In fact, it’s so good, I just bought one!" Absoultely incredible review from Tom at ride.io on the Rocket. He absolutely loved it. I’m going to make a bold claim, but one I’m happy to stand by. The Cotic Rocket is the best trail bike I’ve ever ridden. In fact, it’s so good, I just bought one! With actual money! Rockets are in stock right now in small, medium and large, with XL due back in stock next month. 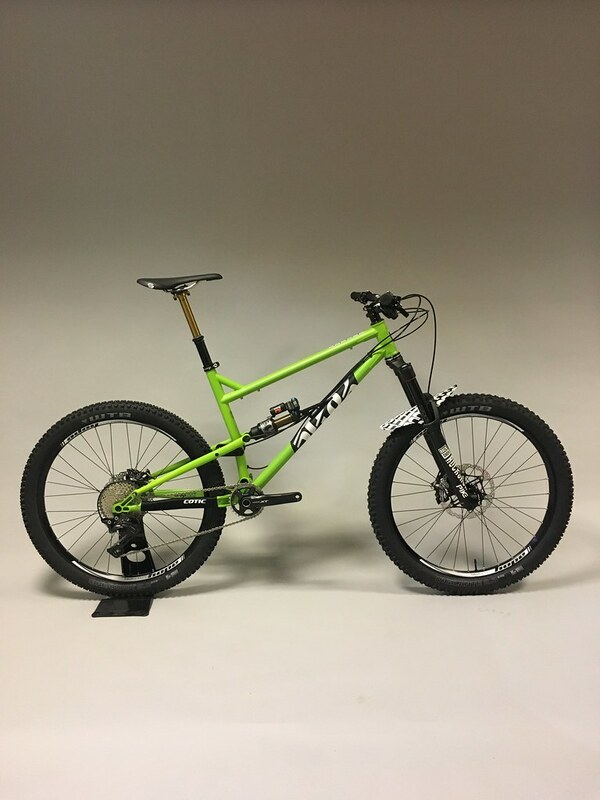 As Tom says in the review, we have loads of options from frame only up to complete XTR/Fox/WTB Carbon wheel super bikes and everything in between. Check out this customers' beautiful build based around our Gold bike option with some choice Rock Shox, Fox and Hope upgrades from the Go Custom program.